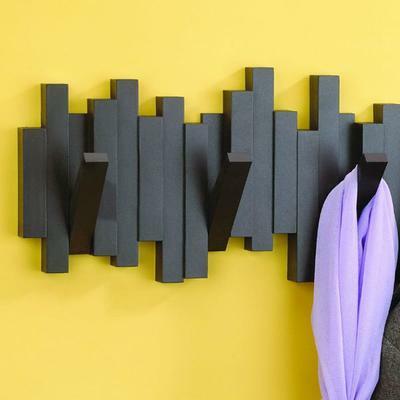 The Umbra Sticks Coat Rack is an innovating solution to your hanging dilemma. It's great for modern and contemporary spaces. However, the coolest thing about the Umbra is that they look like a string of wooden blocks. When you need to use the rack, you can simply flip one of the sticks and hang your coat, hat or scarf. Whenever you don't need the hooks, you can simply hide them back again and you have a stylish piece of wall art once again.